Ping Pong Table Rentals | EpicPartyTeam.com Phoenix AZ. The perfect 4 player game for any event! 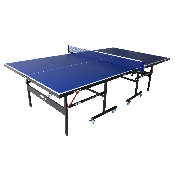 This classic ping pong table comes with 4 paddles and plenty of balls to play the night away! Custom branding available.